The Silk Road – the great East-West trading corridor made up of multiple threaded highways of mountain trails, caravan tracks and sea routes – linked goods, people and ideas from China to the shores of the Mediterranean. It’s origins can be found in the 2nd Century BC, but the ancient towns, monuments and temples that line its routes remain today. Such is its importance that two years ago ICOMOS, the international champion of global heritage, designated a 5,000km stretch of the Silk Road from Central China to South East Kyrgyzstan as a World Heritage Site. Recognition brings extra protection for many more heritage sites ranging from palaces, temples and pagodas through to trading posts, posthouses and beacon towers. One such site, the Maijishan Grottoes, is an extraordinary example of rock-cut architecture, containing over 7,000 Buddhist sculptures and many murals. The influence of the Silk Road can be seen in the style of carving, which shows Indian and NW Asian artistic traditions, alongside later replacement and repair which are more recognisably Chinese in character. Palmyra, known as the Venice of the Sands, was a typical Silk Road trading city. Perfectly positioned at a cross-road oasis in the middle of the Tadmorean Desert in Syria, it connected the classical Empires of Greece and later, Rome, with Persia, India and beyond. The trade in cloth, silks and spices underpinned the building of temples, theatres, tombs and a magnificent Agora, lined by a colonnade over one kilometre long. Political instability and conflict in the Third Century AD led to its decline as the caravan routes moved north to Constantinople, leaving Palmyra as a provincial backwater. Meticulously recorded by Robert Woods and Giovanni Borra in the 18th Century, it’s ‘rediscovery’ spawned architectural imitations in the design of stately houses across Western Europe and America. But it’s recent history has not been a happy one. 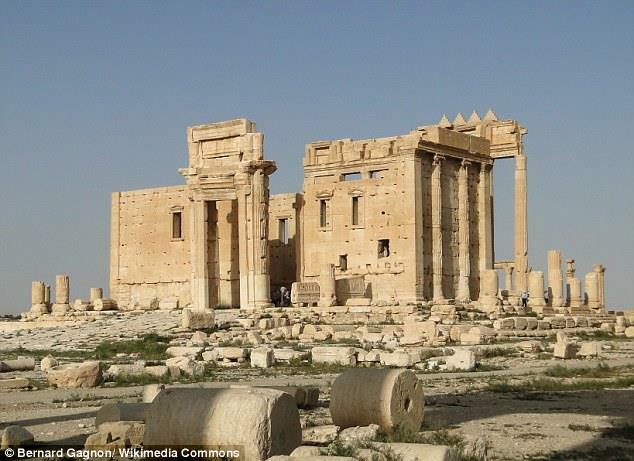 ISIS deliberately targeted the destruction of key monuments in the ancient city, such as the iconic triumphal arch and the Temple of Bel in 2015. Palmyra was retaken by Government troops in March 2016, and my friend, Professor Maamoun Abdulkarim, Director General of Syria’s Antiquities & Museums, has vowed to conserve and restore its ruins. Of course the Silk Road was not just a road, but a comprehensive network of trading links and routes. My final site is not on the Silk Road, but was deeply connected to it. Stone Town, the historic centre of Zanzibar’s capital city, was an important centre on the Swahili coast of East Africa. Like Palmyra and the Central China Silk Road, it too is a World Heritage Site, famous for its wonderful blend of cultures from Africa, Arabia, India and Europe. Arabic influenced courtyard houses vie with flamboyant Indian ornament, verandas and gothic colonial buildings, alongside a local Swahili tradition to create a rich Zanzibar hybrid – all a consequence of trade. The dark side to this story is that part of that trade was in human lives, with Zanzibar being one of the largest slave markets in east Africa. 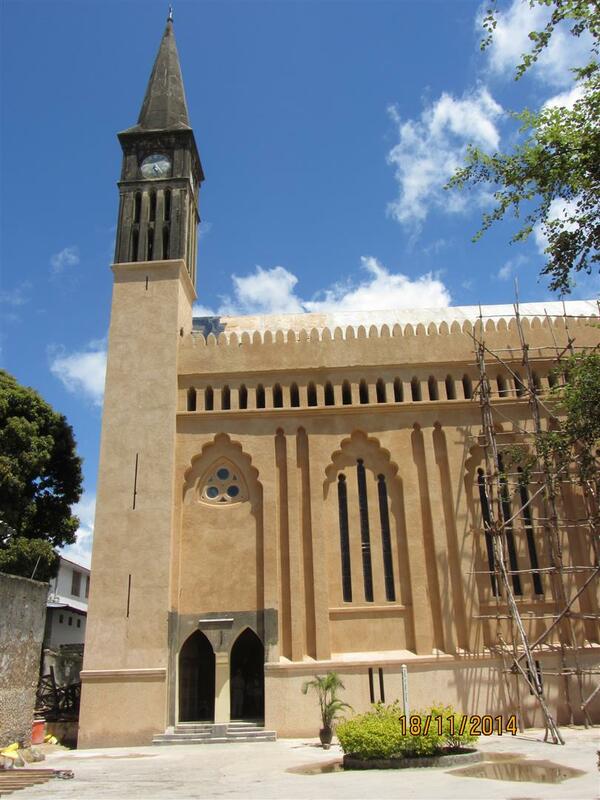 The last slave market closed in 1873 and is commemorated by the construction of Christ Church cathedral, itself a architectural amalgam that characterises Zanzibar’s trading heritage. This year saw the completion of the restoration of that cathedral, which three years ago was in danger of collapse. 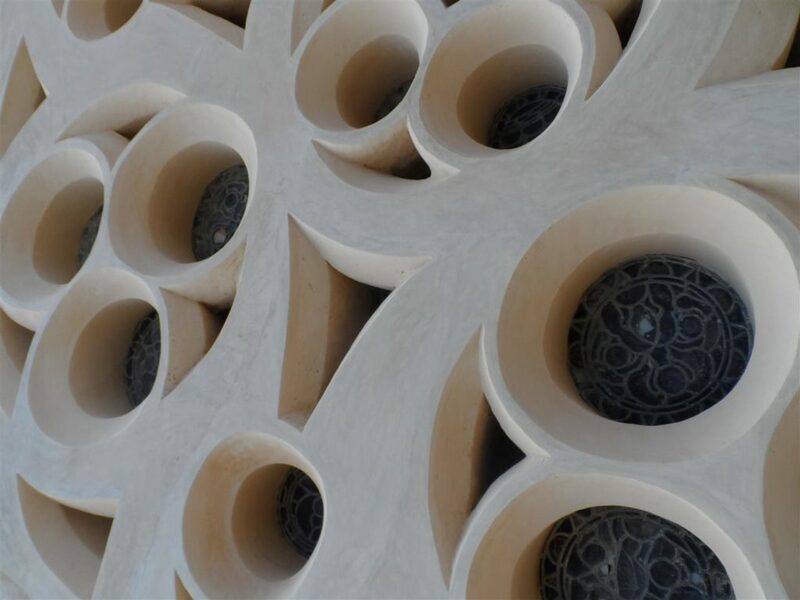 Its spire and local neeru plaster crenulations a reminder of that heritage, complemented by a new interpretation centre. Encouragingly, at a time when heritage can divide, this was a restoration project of a Christian church and centre that was largely implemented by Muslim community: a heritage that unites rather than separates. World Monuments Fund has long experience of working alongside others to save sites of world significance that have suffered in the arena of conflict, from natural disaster or through economic and social change. In addition, the World Monuments Watch is a powerful call to action to protect sites across the globe. The Silk Road is a famed trade route that extended across thousands of miles from central Asia through the Indian subcontinent, to China and other destinations in the Far East. Among the many sites that the Watch has highlighted are some of the most interesting remnants of this great trade route found today in Afghanistan, China, Georgia, Pakistan, Turkey and Uzbekistan. The Watch brought these sites to international attention noting their cultural significance, all once influential economic hubs, but today in need of greater protection and conservation.